Keeping up to date with your favorite magazines is easier than ever with the iPad. With digital copies, no longer are there back issues cluttering your house. HÄUSER – The Magazine for Architecture & Design by G+J Exclusive & Living digital is here to keep you informed and engrossed in all things structural design. 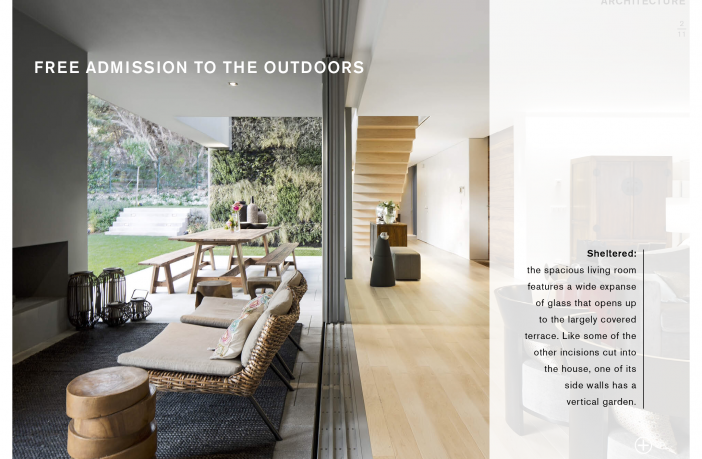 The HÄUSER iPad app monitors and displays latest trends regarding exclusive architecture and contemporary landscape design concepts and is presenting them to the reader in beautiful HD photographs and exceptional articles. HÄUSER is published bimonthly (six issues per year). Issue 2/2014 is completely FREE for all readers – for a limited time only! HÄUSER – The Magazine for Architecture & Design is beautifully laden with chic structural images by the latest designers. Every page is laid out as crisp as the images themselves. The gorgeous HD photography pieces are expandable to full screen, allowing you to see every detail. 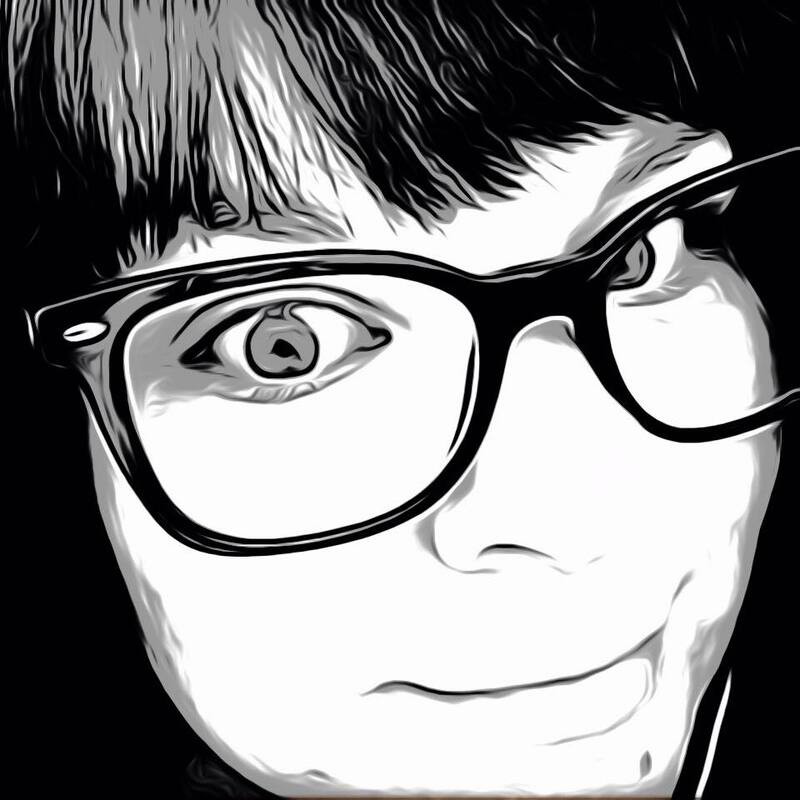 Some images have unique animated components elevating the digital medium all that much more. Articles feature the latest designers and architects, including construction plans on some of their latest work and video interviews. Apple Newsstand is not the most used application on my iPad, I will have to admit, but when I see something like this that is so well thought out and lovely to view it makes me wonder why I don’t use it more. Even those not already into architecture or interior design should be inclined to check out the fascinating travel related articles featuring the locations where some of these amazing structures are located. The interface is easy to use with simple swiping to turn pages and tapping to expand the images. Like most Newsstand publications, there is a Table of Contents with the ability to jump directly from one page to another. Finally available in the U.S., HÄUSER has been featuring sophisticated design from around the world for years, and is a welcome, stunning addition to the Apple Newsstand. 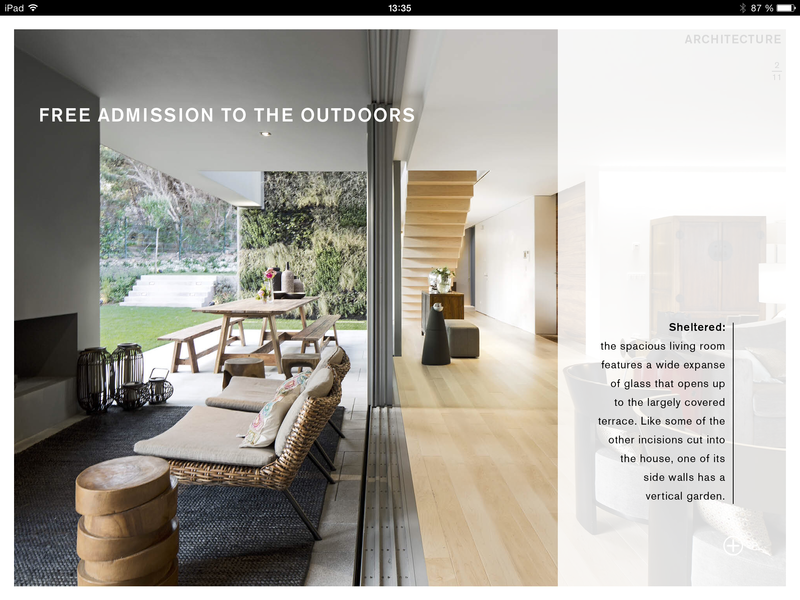 HÄUSER – The Magazine for Architecture & Design iPad app is available now in the App Store at subscription pricing and is compatible with iPad running iOS 6.0 or later. For a limited time, snap up February’s edition for free.